InEscape Velocity Geoffrey A. Moore, author of the marketing masterwork Crossingthe Chasm, teaches twenty-first century enterprises how to overcome thepull of the past and reorient their organizations to meet a new era ofcompetition. The world’s leading high-tech business strategist, Moore connectsthe dots between bold strategies and effective execution, with an action planthat elucidates the link between senior executives and every other branch of acompany. 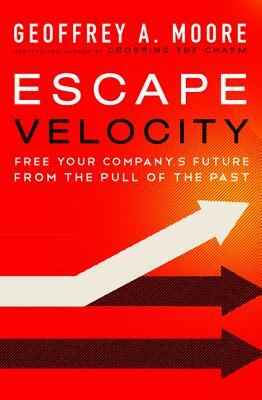 For readers of Larry Bossidy’s Execution,Clay Christensen’s Innovator’s Solution, and Gary Vaynerchuck’sCrush It!, and for anyone aiming for the pinnacle of business success, EscapeVelocity is an irreplaceable roadmap to the top. Geoffrey A. Moore is the author of Escape Velocity, Inside the Tornado, and Living on the Fault Line.